Craig A. Weckwerth, age 51 of Henderson, died at his home, Saturday, March 23, 2019 after a long battle with cancer. Memorial services will be at Zion United Church of Christ in Le Sueur on Friday, 3:00 p.m, March 29, 2019. Visitation will be at the church from 1:00 p.m. ~ 3:00 p.m. at the church on Friday. Reception and dinner to follow in church social hall. Rev. Kent Meyer will officiate the services. Craig was born on March 15, 1968 in Arlington, MN to Fred and Judy (Kahlow) Weckwerth. He grew up in the Henderson area and graduated from Henderson High School in 1986. He attended Mankato State University following high school. He later worked various jobs for a short time before beginning a long career in the painting business. Craig married Cara Felmlee on September 23, 2017 at North Star Farm in Sibley County. The couple lived in Tyrone Township, Le Sueur County where they shared their families together. Craig enjoyed basketball, sports, time vacationing and time with the family. He especially enjoyed traveling to the Caribbean and Dominican Republic. 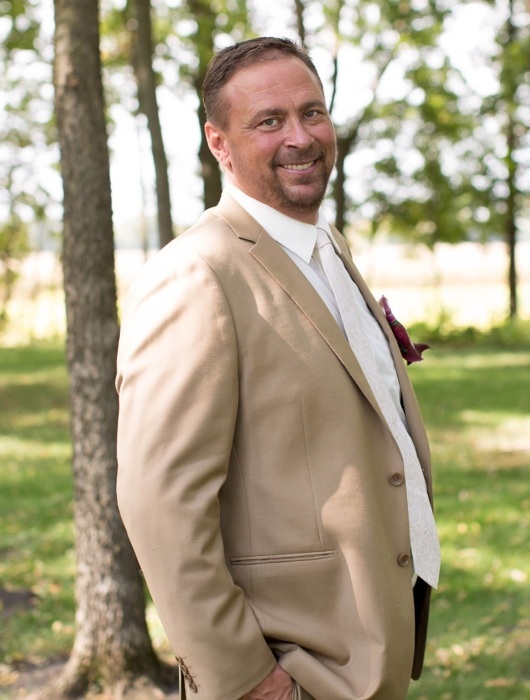 Craig is survived by his wife Cara; children; Hailey (Tyler) Young of Mpls, Madison Weckwerth and finance’ Kyle Hennen of Mayer, MN, Calvin and Jacob Weckwerth of Mpls. Cara’s children; Gage, Grace and Rhyan Bishop of Henderson. Half-sisters; Mara Lee (Doug) Tye of Savage, MN and Paulette (Derick) Hainstock of Baldwin, WI. Step-sisters; Luana (Duane) Remer of Hutchinson, MN, Dawn Schuster of Jordan, MN and Lisa Bergerson of Salina, Kansas. He is preceded in death by his half-brother, David Wendorff in 2004 and step-brother; Jeff Schuster.